Pacific Pain Clinic offers several weight loss programs to patients in Irvine, California, including diet pills, fat-burning injections, and HCG injections. Dr. Sedaghat tailors weight loss programs to meet the needs of each individual patient. How Do Diet Pills Help with Weight Loss? Diet pills are oral medications designed to help the patient lose weight faster. 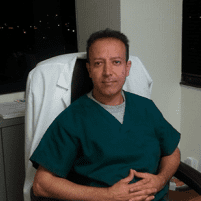 Dr. Sedaghat may prescribe different types of weight loss pills, including appetite suppressants, fat-blocking drugs, and drugs designed to boost the patient's metabolism. Appetite suppressants work by limiting the appetite so that the patient doesn't consume as many calories. Fat-blocking drugs reduce the amount of fat the body absorbs, and metabolism-boosting drugs speed up the metabolism so that the patient burns more calories. In some cases, a combination of diet pills may be used to improve results. What Are the Benefits of Fat-Burning Injections? Fat-burning injections, which may also be called lipotropic injections, are designed to encourage fat in the body to break down. These injections also enhance the patient's natural energy so that he or she can exercise more frequently and vigorously. "HCG" stands for human chorionic gonadotropin. It is the same hormone the body produces in pregnancy. HCG injections may improve the patient's metabolism, allowing him or her to burn more calories and lose weight faster than with diet and exercise alone. HCG injections are often used in conjunction with a low-calorie diet and regular exercise for maximum benefit. How Effective Are Weight Loss Programs? Each of the weight loss treatments available at Pacific Pain Clinic offers different advantages, and the results vary considerably. In most cases, weight loss treatments will be part of a comprehensive weight loss program designed to meet the patient's unique needs. To design each program, Dr. Sedaghat spends time getting to know the patient and evaluating his or her current condition and goals. Every patient is different, and the results of the weight loss program will depend on the patient's unique circumstances, level of commitment to the program, and other factors. For all weight loss inquiries, please call (714) 752-4200 or visit us at Lux Medical Spa Institue, our Weight Loss Center also located in Irvine, California.